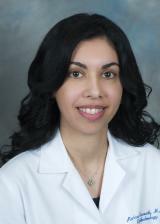 Parisa Taravati is a Assistant Professor of Comprehensive Ophthalmology at University of Washington Medical Center, Seattle, Washington from 2010 to present. She her earned her bachelor's degree in chemistry from the University of Iowa from 1997-2001. She also completed her M.D. at the University of Iowa in 2005. She continued at the University of Iowa, completing her internal medicine internship and her residency in ophthalmology. Dr. Taravati has been on faculty at University of Washington since 2009. She is actively involved in resident education.